From sand rails and rock crawlers to jeeps and trucks, Turn Key Powertrain is the premier name in off road engine performance. Our engines have race in the Baja 1000, King of the Hammers, Australian Outback Challenge, and the Dakar Rally. The top six rock crawlers in the nation are running Turn Key Engines including the legendary Walker Evans and Shannon Campbell. 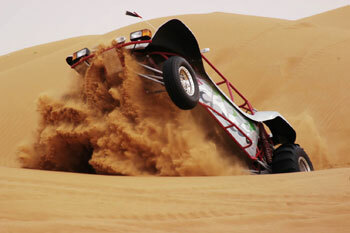 Off road packages come with everything you need to drop an engine into a dune buggy. They include an adapter plate for a transaxle, clutch, and flywheel and come with your choice of ceramic coated buggy headers. To check out our powerful and rugged off road engines, click on one of the models below.